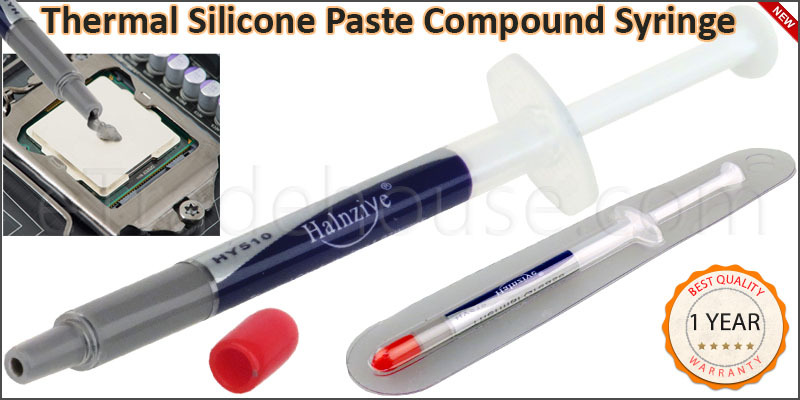 Thermal compound is necessary to create a reliable transfer of heat fromyour computer''''s processor to its heat sink in order to keep your CPUfrom over heating. This thermal grease can be used on the rear side of the heatsink which has no thermal pad. It will improve the heat dissipation. This thermal transfer compound improves the effectiveness of CPU coolersby thermally bonding the CPU to the heat sink. This ensures that the heat sink and fans can work at theirfull capacity to remove the harmful heat away from the CPU, and preventsburnout or heat damage.